The perfect room for your seasonal residence. 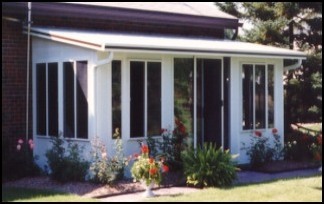 The insulated roof will help keep you comfortable, from Spring through late Autumn. It's an easy care room...with the all-painted aluminum finish, inside and out. Just get the family together and enjoy. The Dura-Bilt All-Season Room is insulated for year 'round comfort. As with all our products the Roof and Room components are pre-painted. You can use the room the day it is installed. Windows and Doors are double pane and insulated. 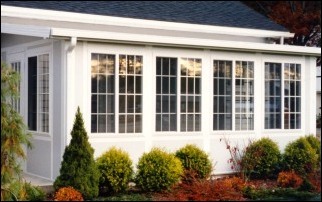 Windows come with or without grids...your choice.